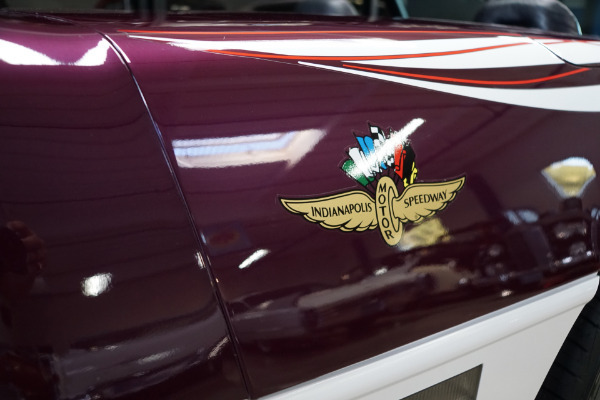 The Indianapolis 500 auto race has used a pace car every year since 1911. 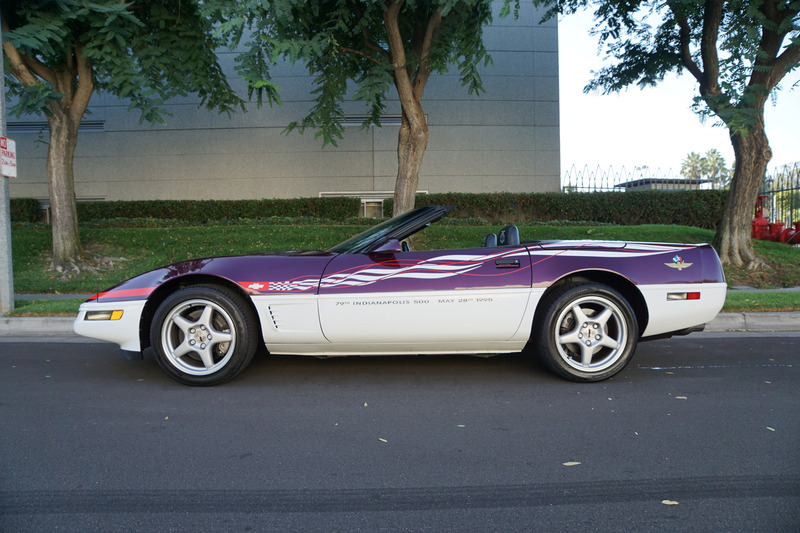 The pace car is utilized for two primary purposes. At the start of the race, the pace car leads the assembled starting grid around the track for a predetermined number of unscored warm-up laps. 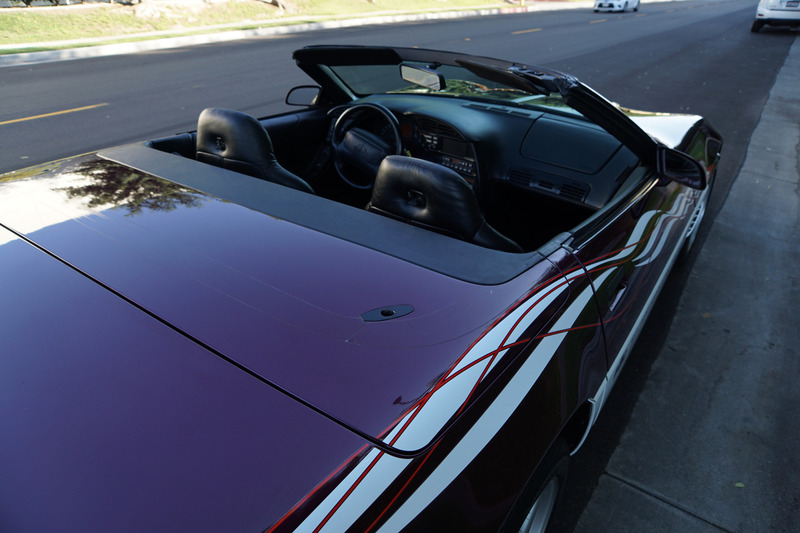 Then if the officials deem appropriate, it releases the field at a purposeful speed to start the race. 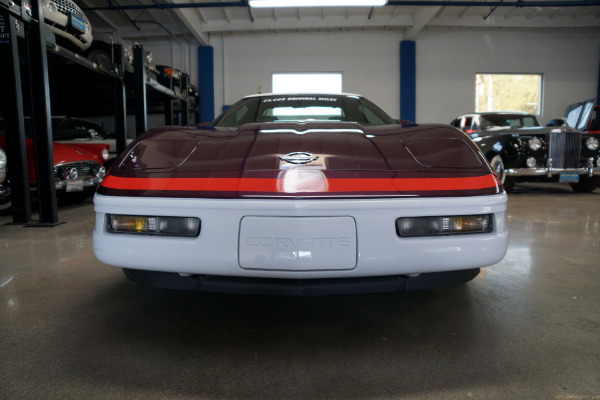 In addition, during yellow flag caution periods, the pace car enters the track and picks up the leader, bunching the field up at a reduced speed. In almost every year since 1936, it has been a tradition that the winner of the Indianapolis 500 be presented with one of that year's pace cars (or a replica). In most years since 1911, the driver of the pace car at the start of the race has been an invited celebrity, a former racing driver, or notable figure in the automotive industry. 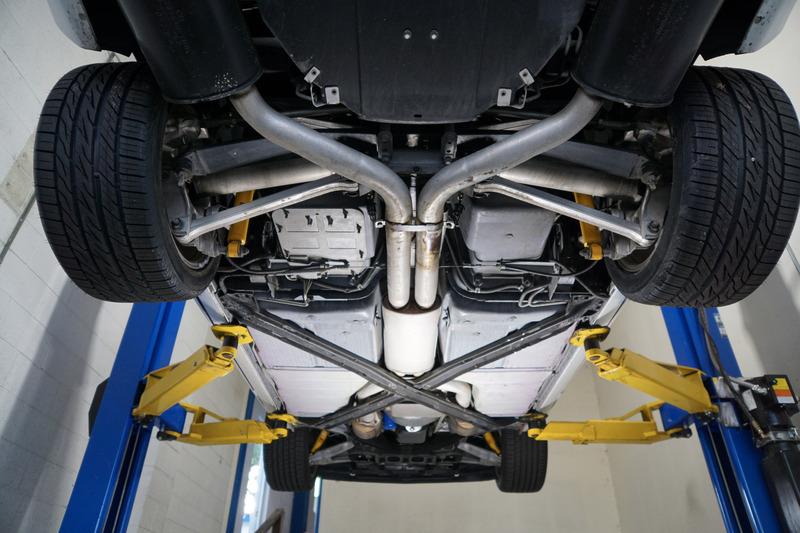 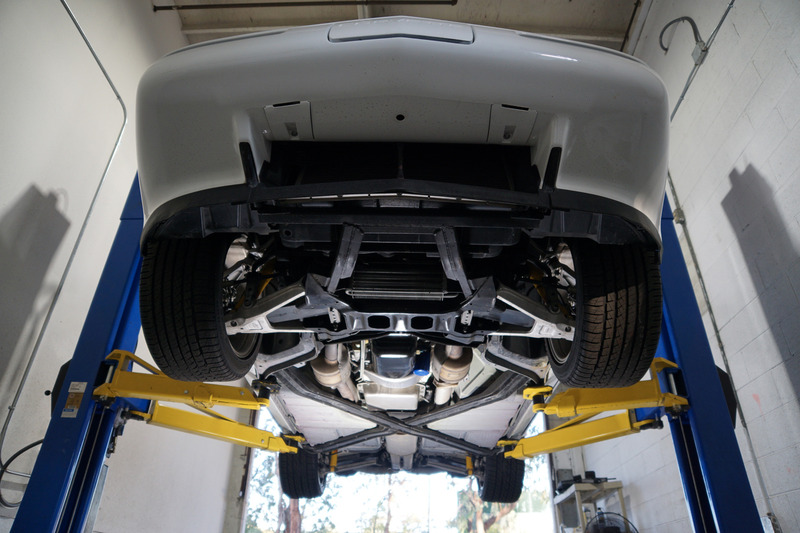 Historically, the honor of supplying the pace car was, and continues to be, a coveted honor by the respective automobile manufactures and a marketing showcase. 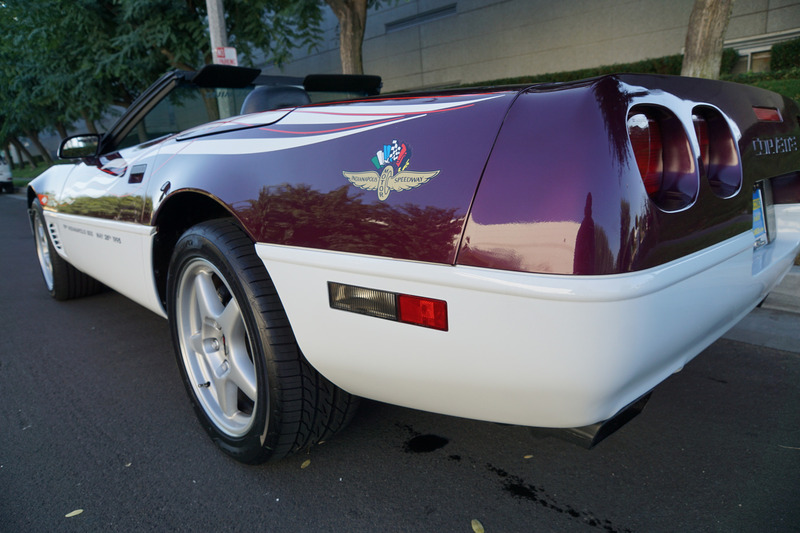 Corvette was honored for the first time in 1978 to be the official pace car for that years world renown Indy 500 race. 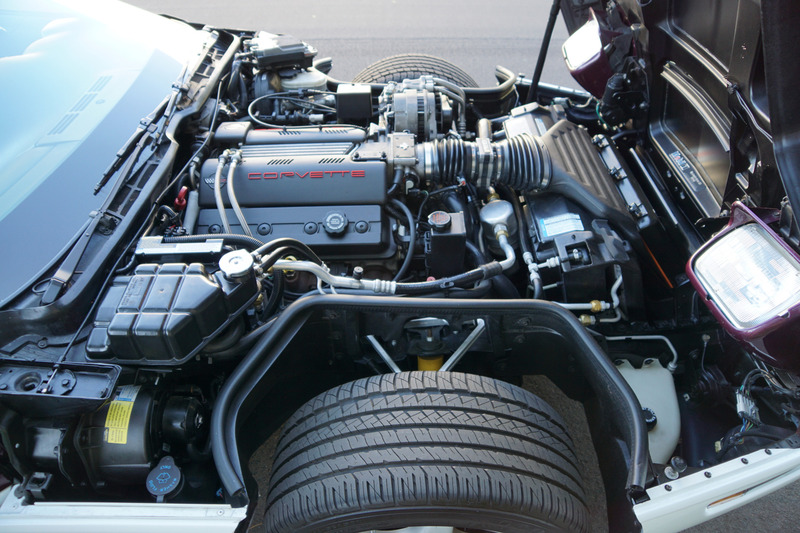 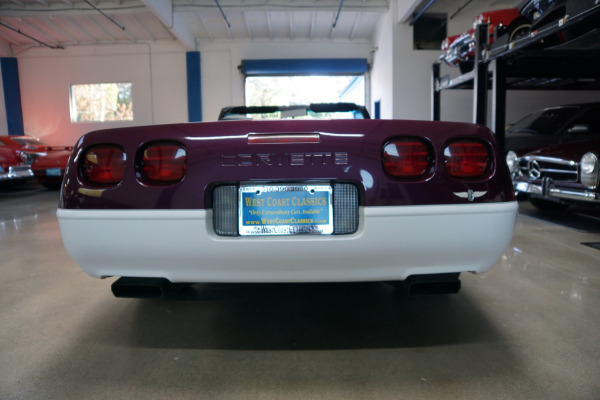 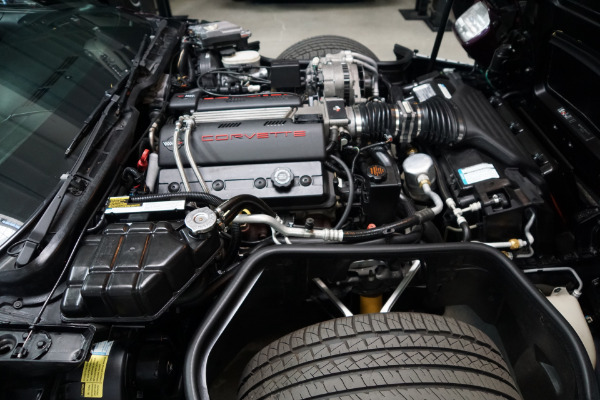 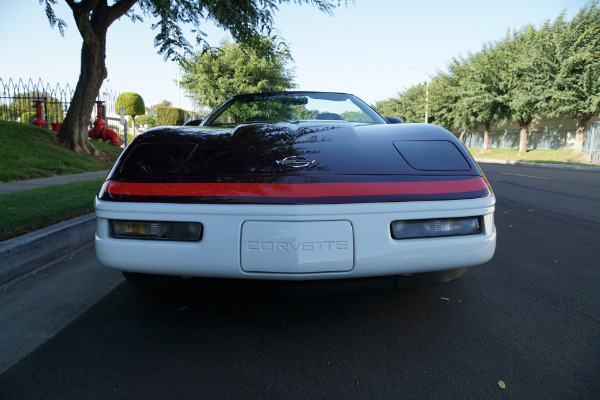 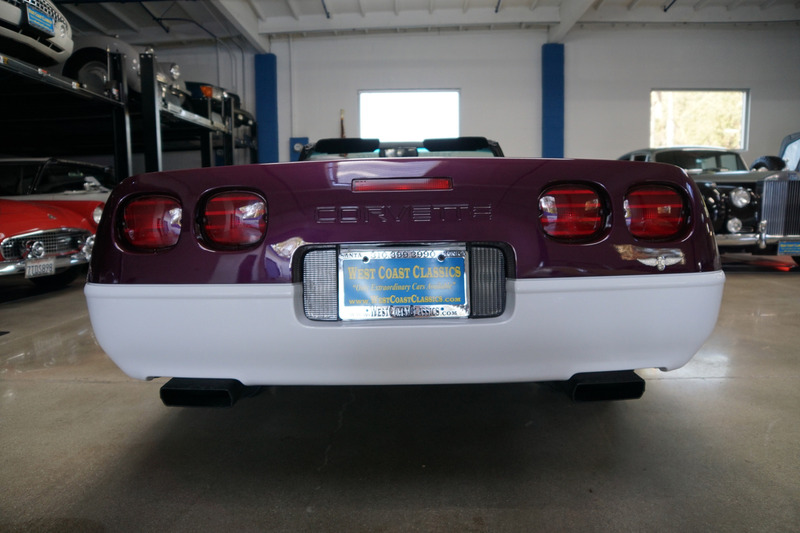 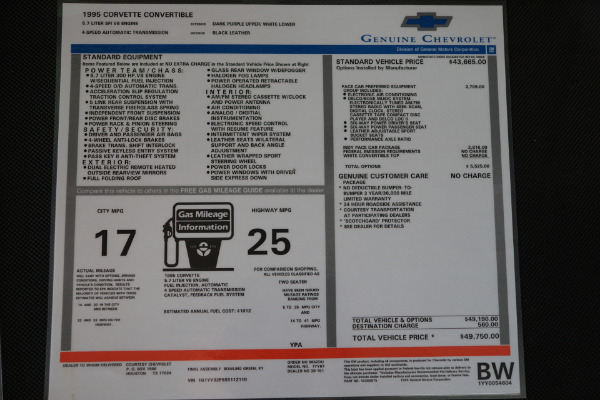 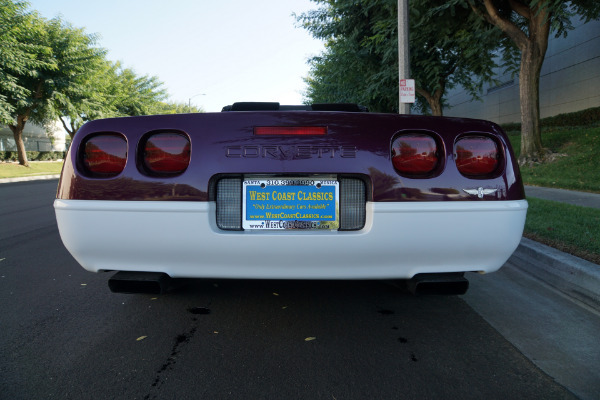 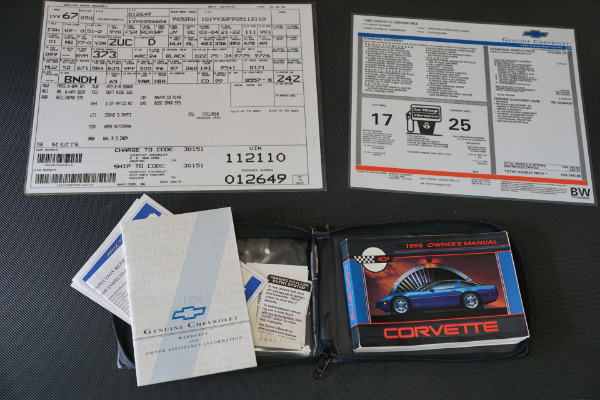 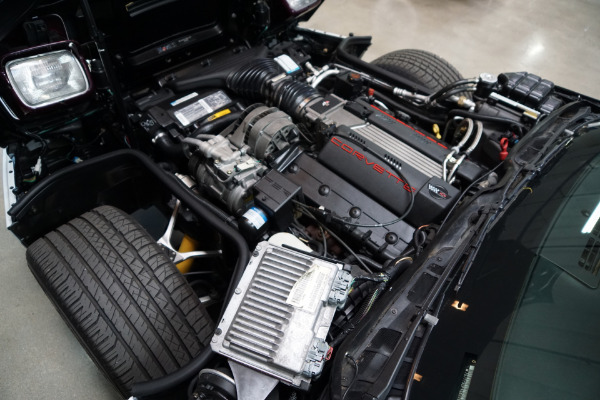 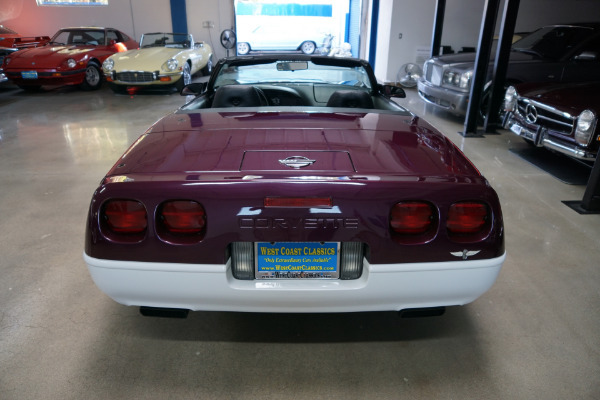 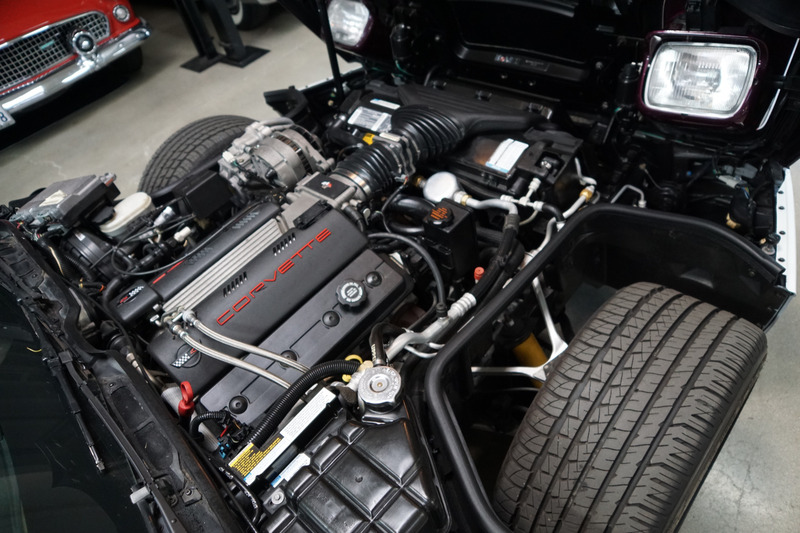 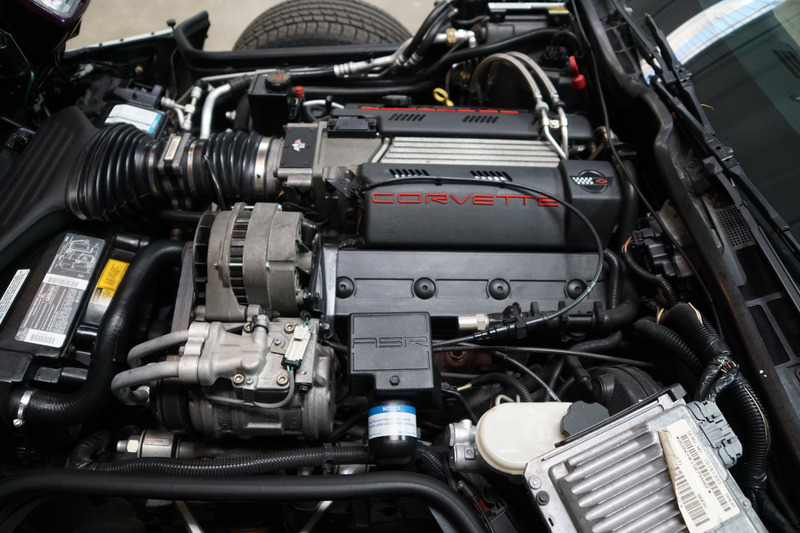 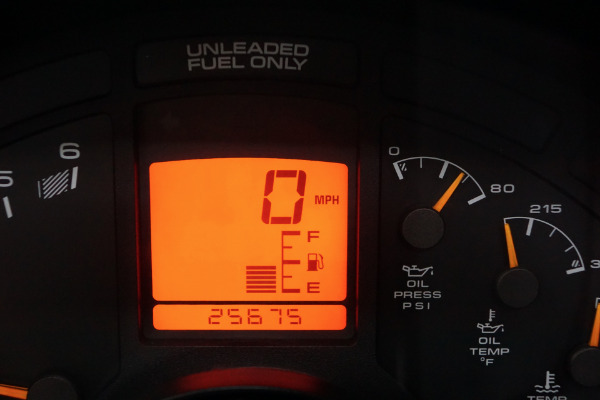 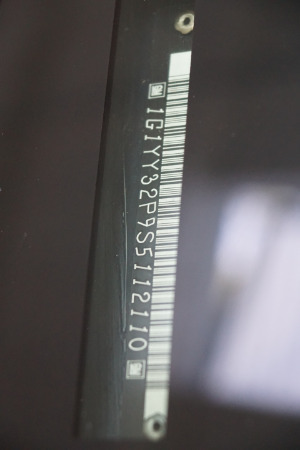 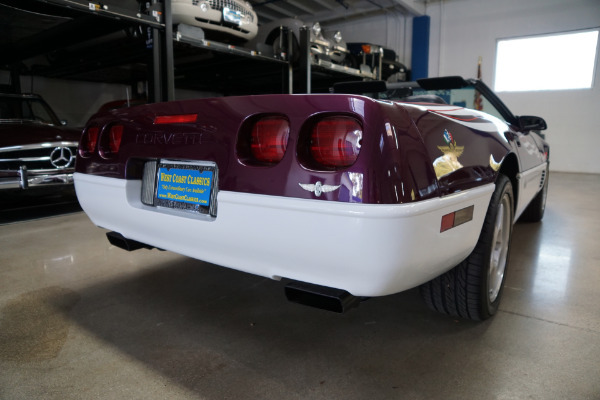 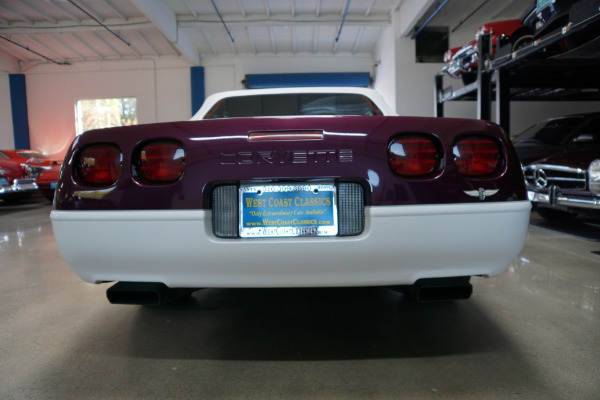 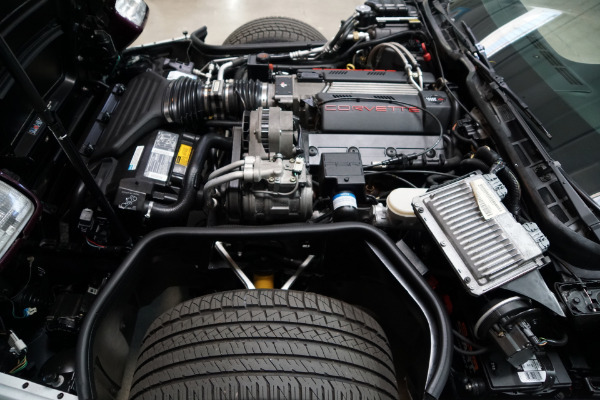 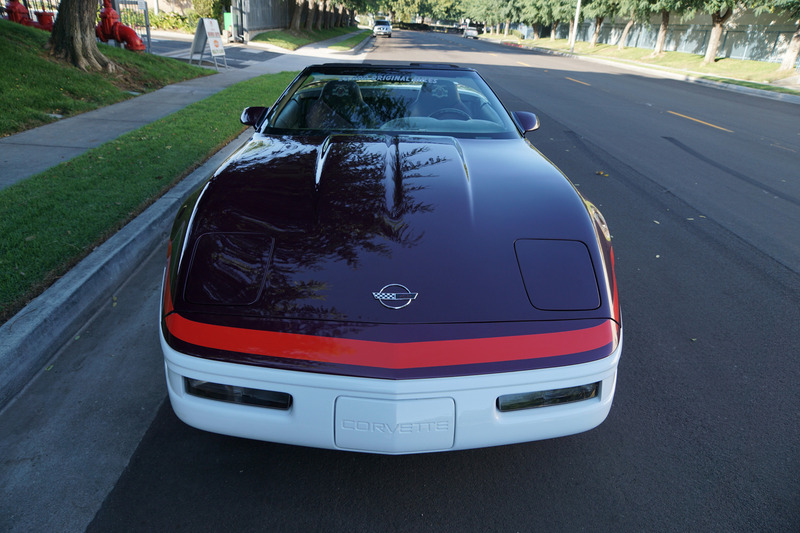 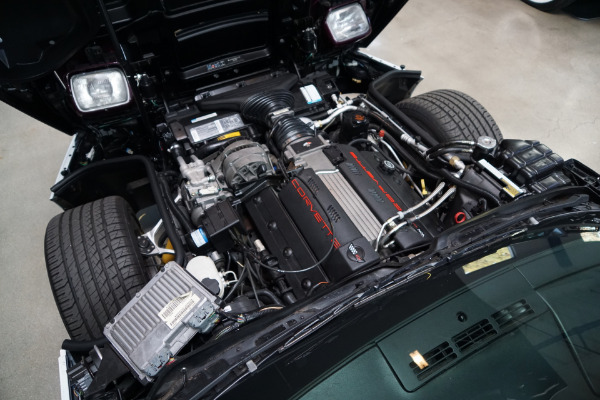 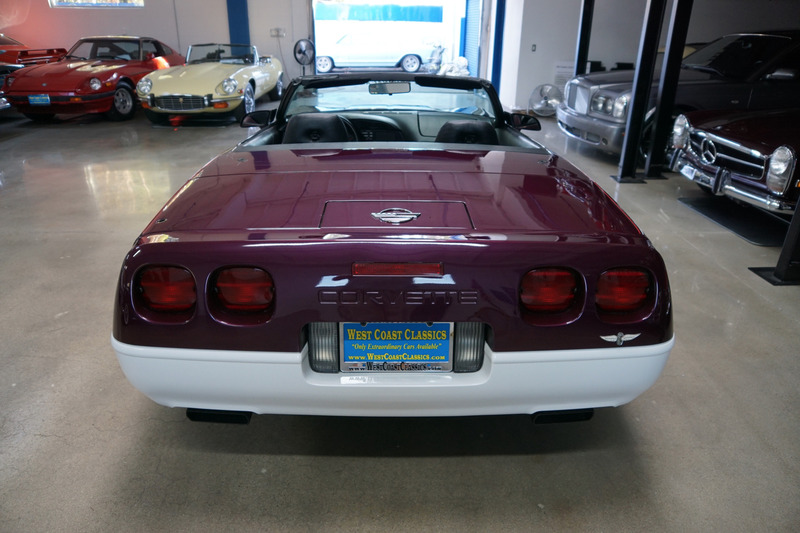 To commemorate the event, Chevrolet built a number of limited edition Corvettes with their very own dedicated vehicle identification number sequence with the eight digit being a 9 versus a 4 making it easy to spot and near impossible to build a clone. 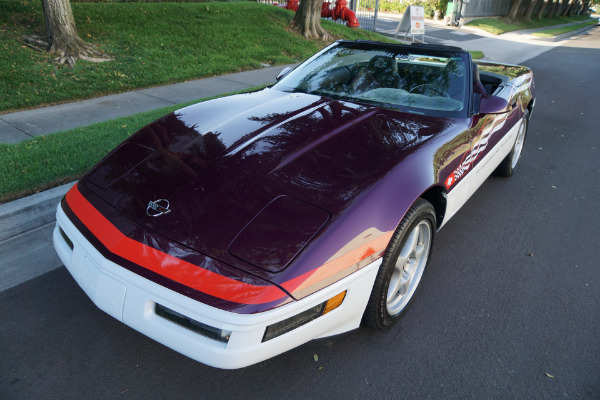 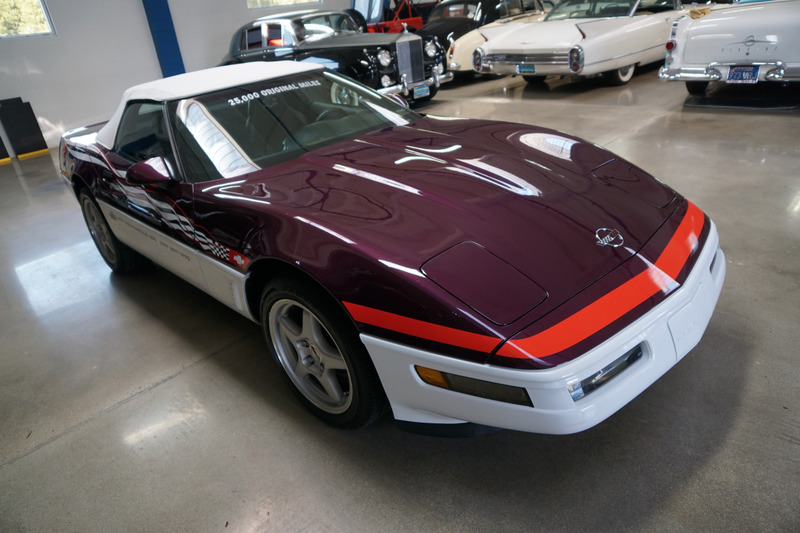 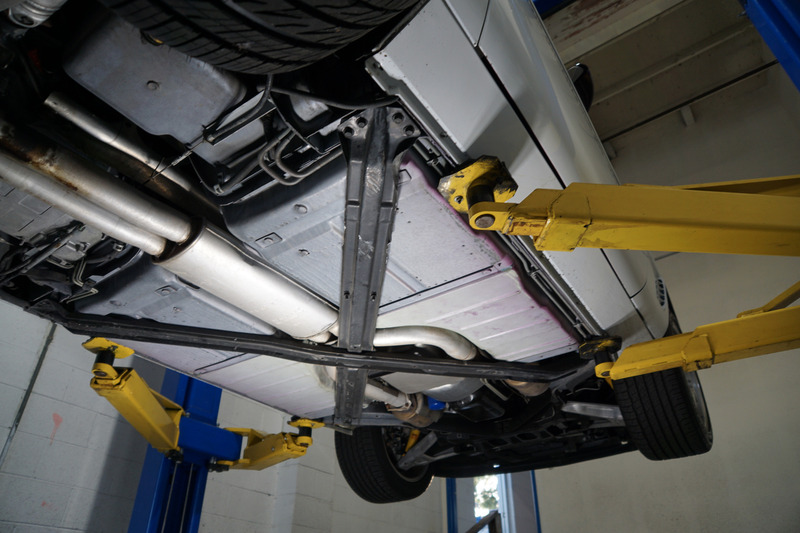 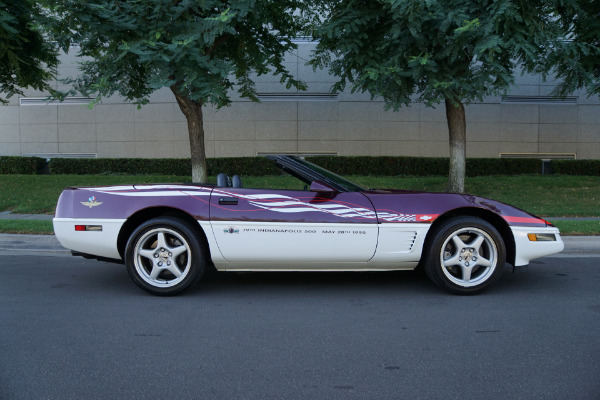 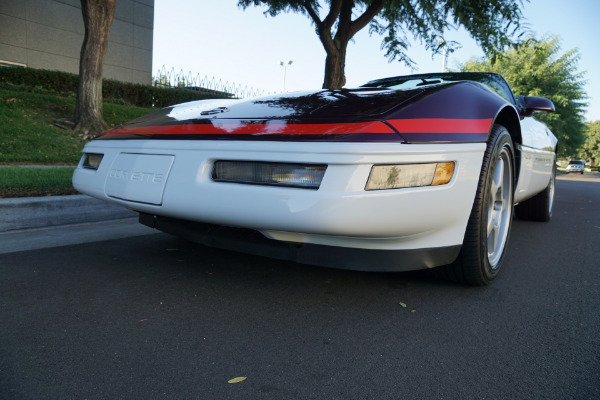 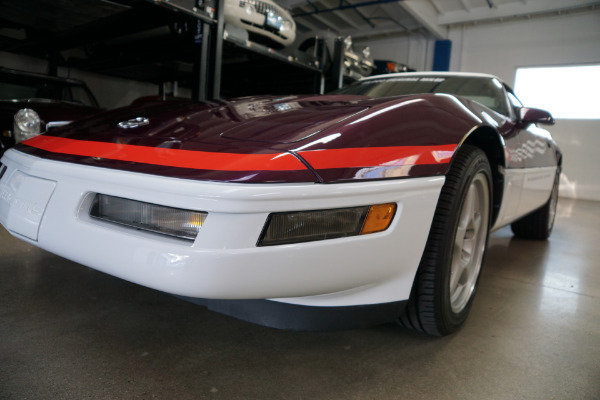 In recent years the Corvette has been honored to supply the pace car on several occasions for the race but it was only the 3rd time in 1995 that the Corvette had been bestowed this honor and only 527 replica cars were then built by Chevrolet to commemorate the occassion. 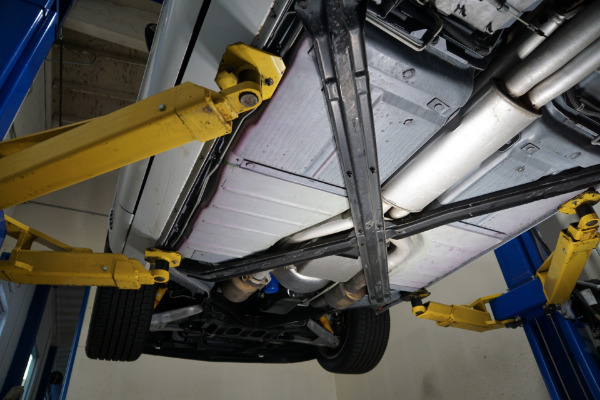 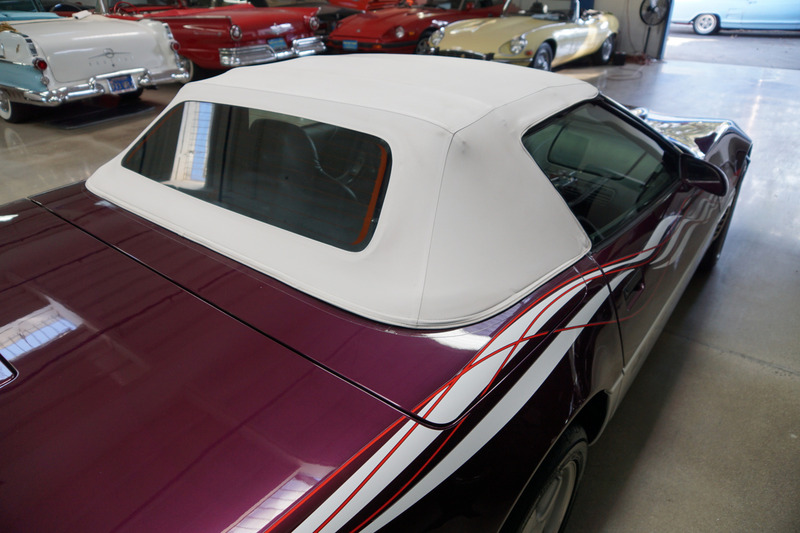 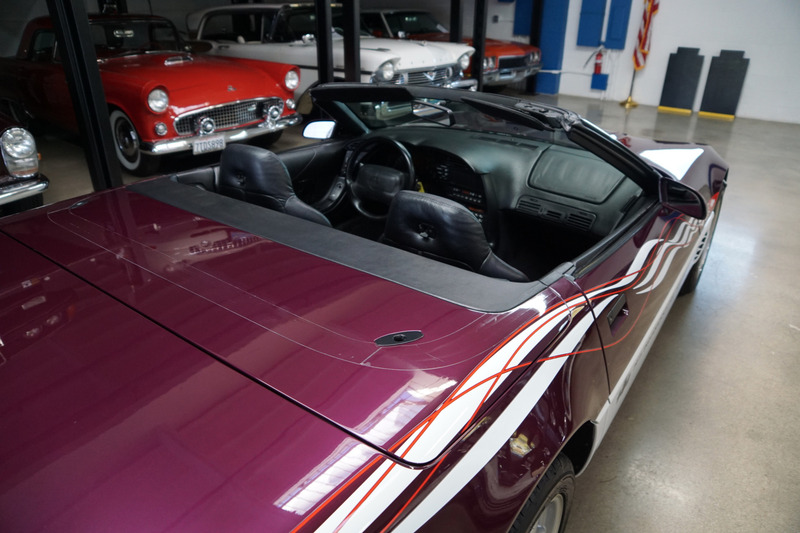 The car had a very 1990's paint job with a Purple upper portion of the body, White lower area, and swirling stripes running over the sides. 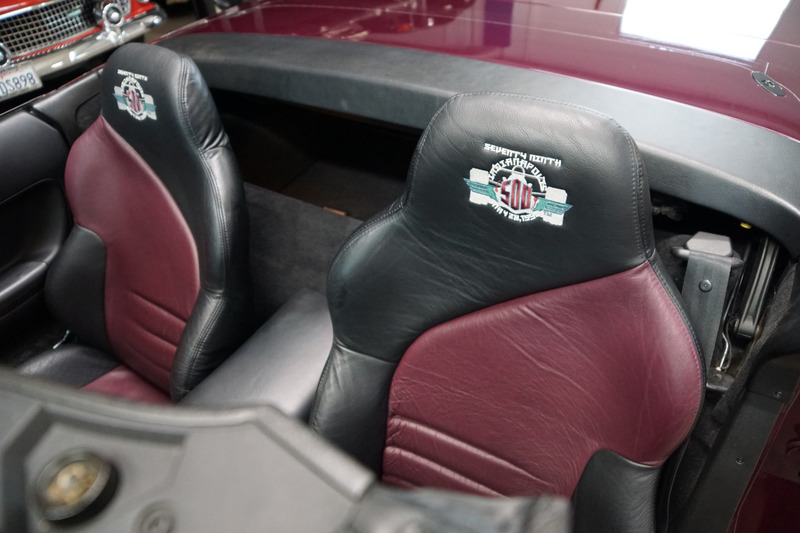 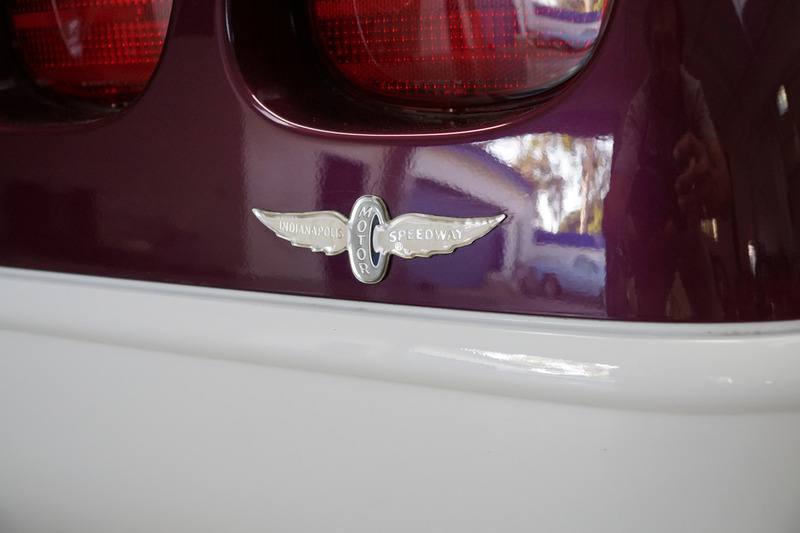 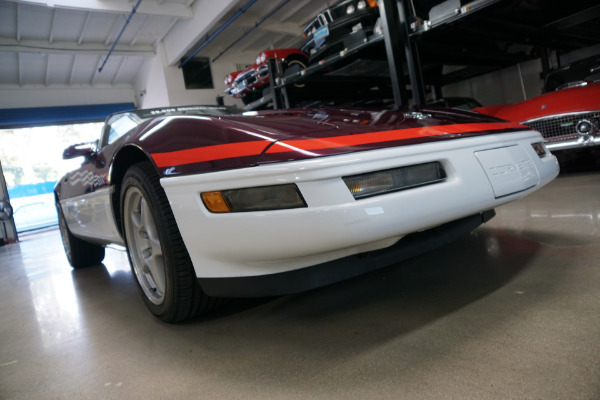 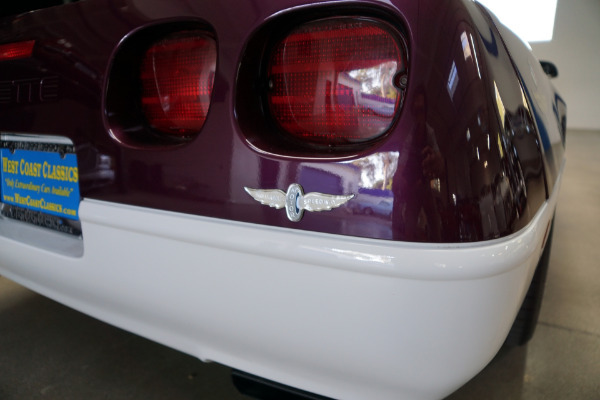 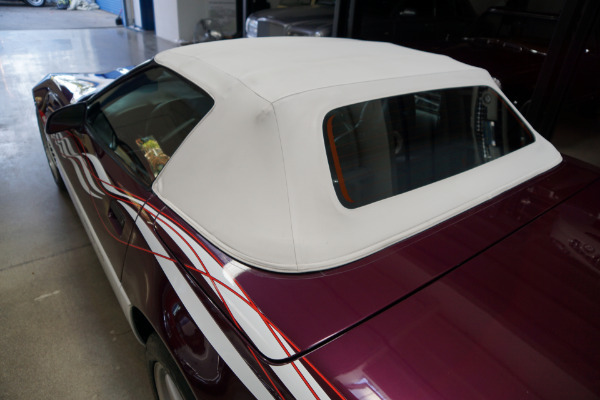 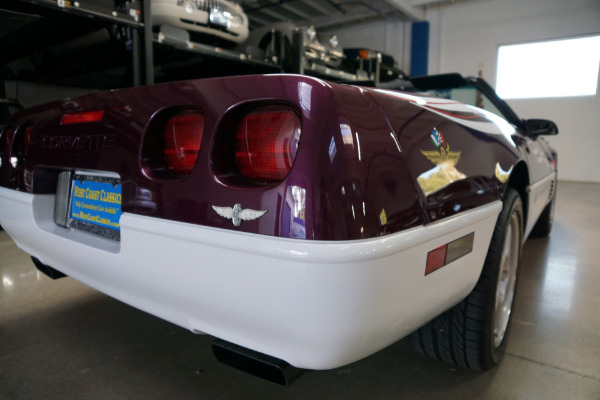 The original factory correct decals applied at the factory include the '1995 Indy 500 Pace Car' decals below the fender cross flags, the event door decals and the 'Indianapolis Motor Speedway' logo on the rear quarter panels. 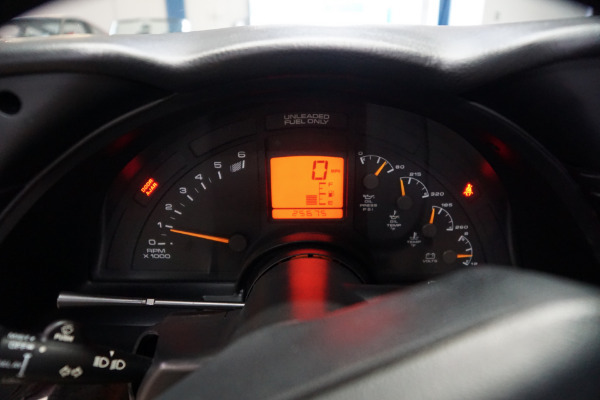 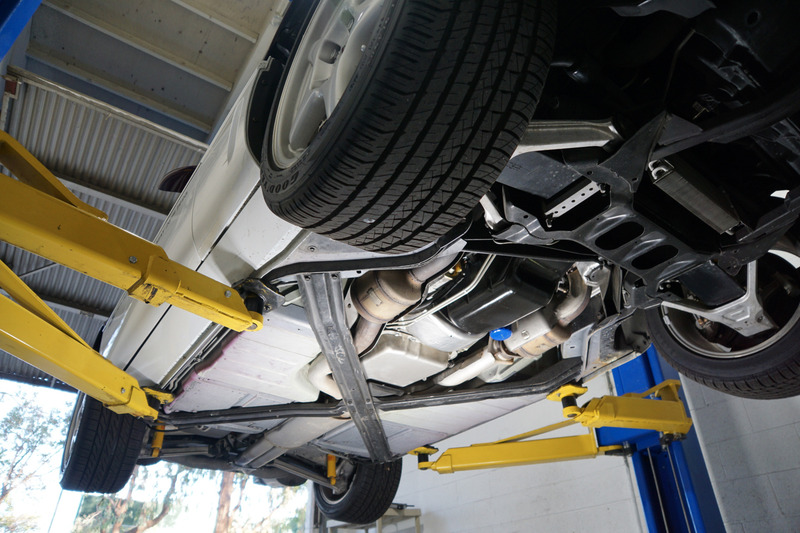 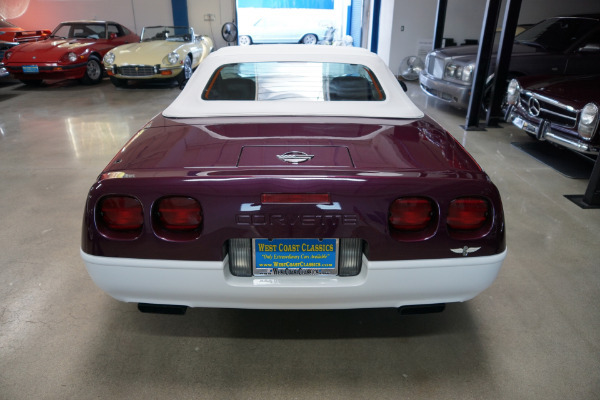 This particular example is a pristine example and is Carfax certified with only one owner since new and boasting only some 25K original miles. 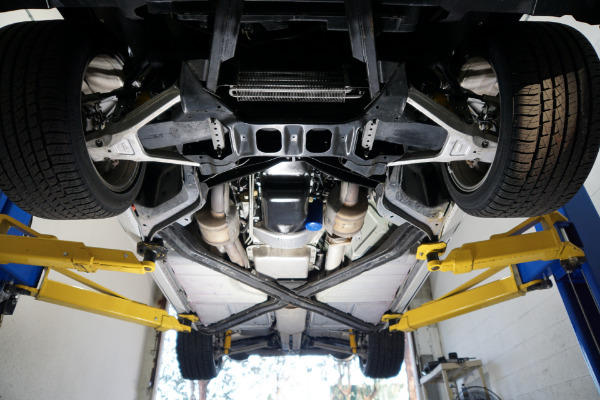 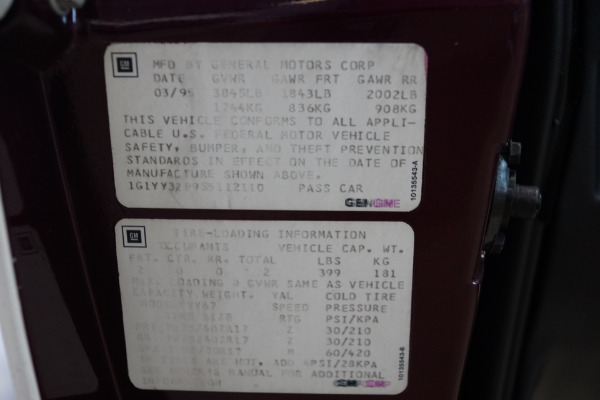 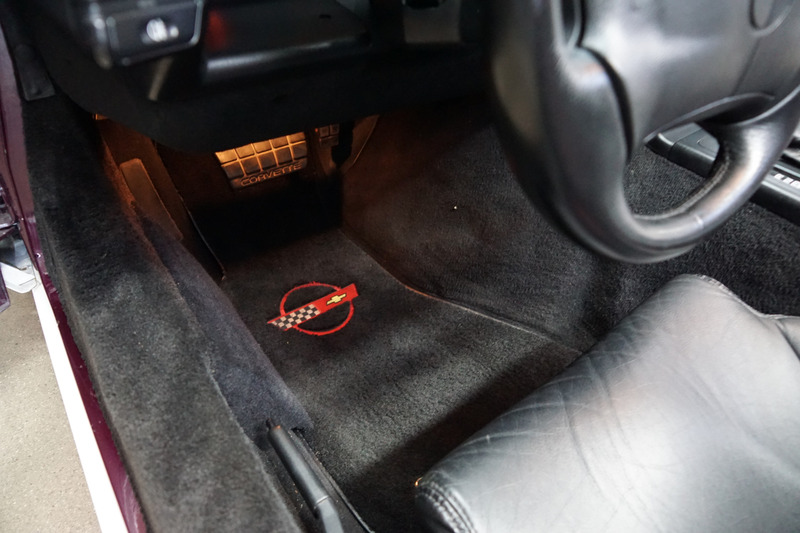 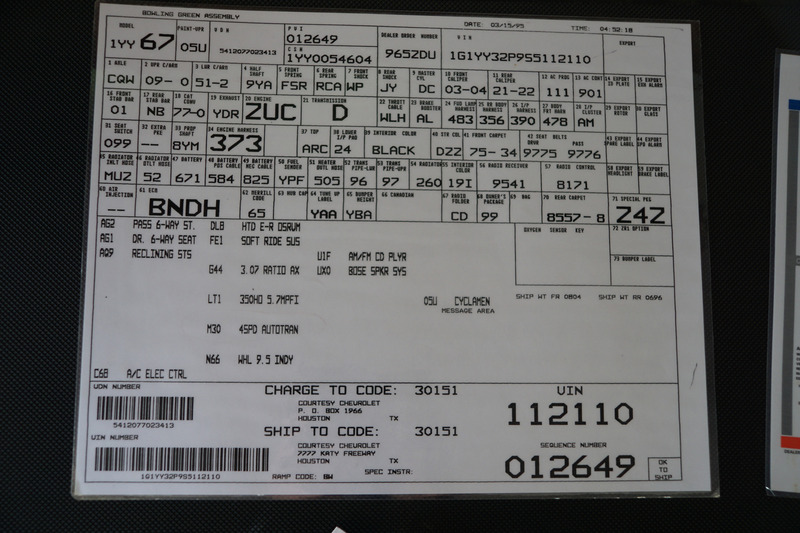 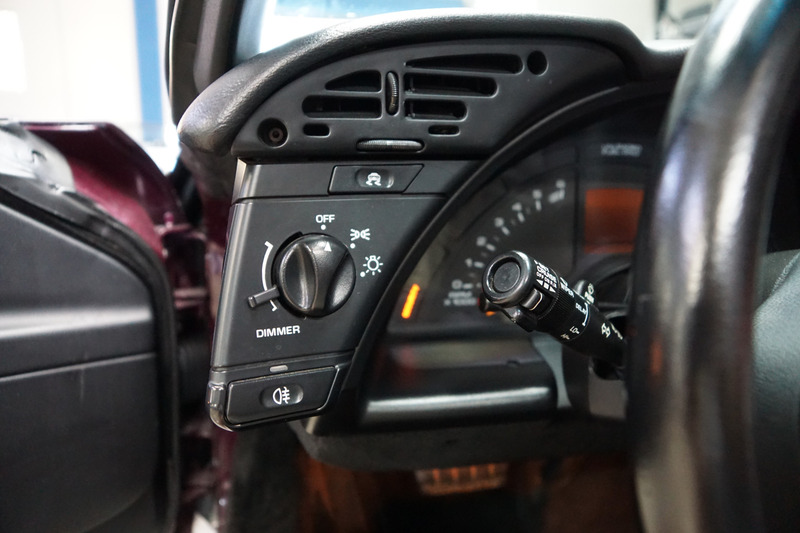 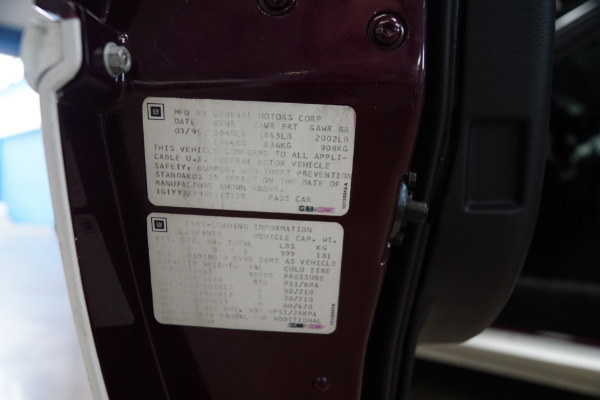 The car will be sold with laminated copies of its original build sheet and window sticker and the original owner's handbook. 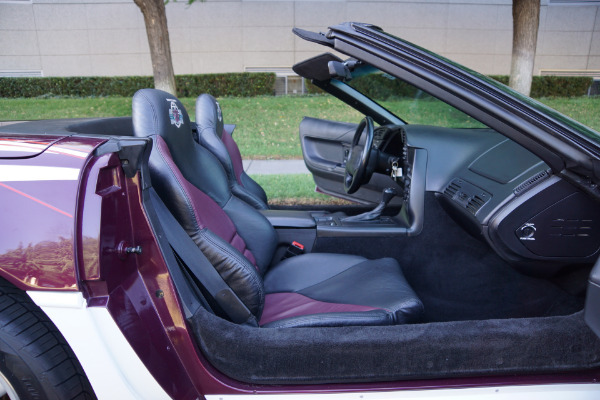 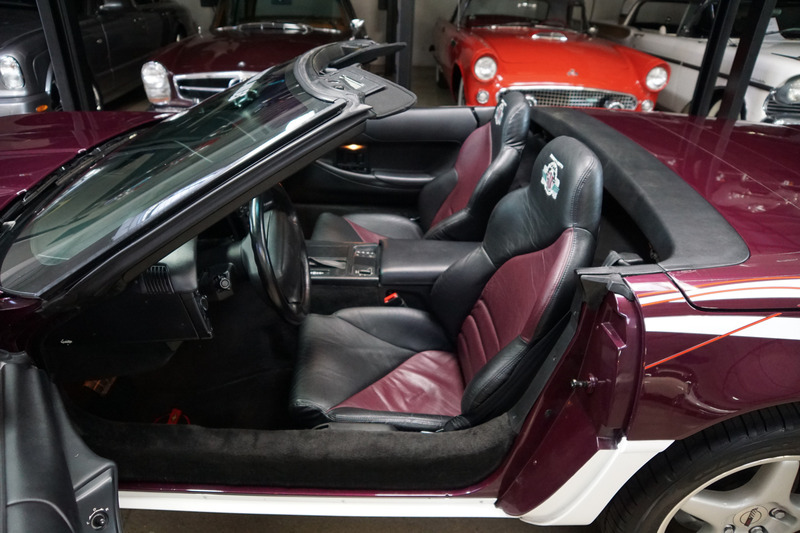 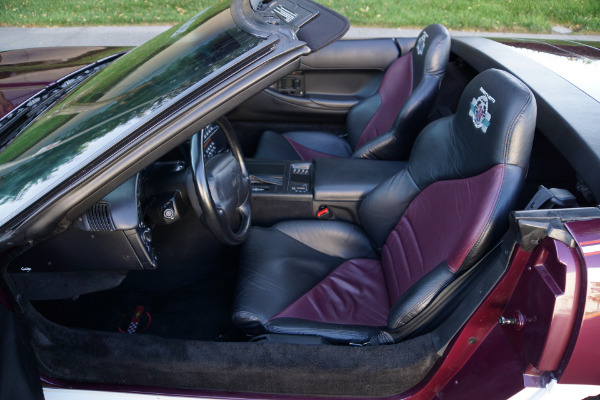 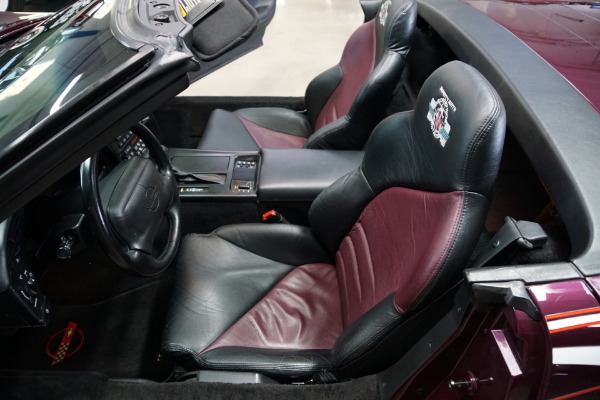 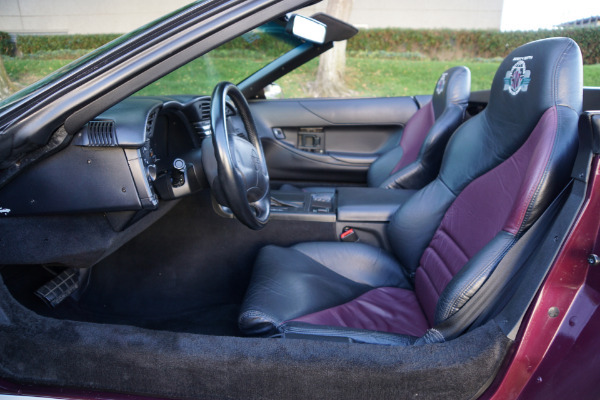 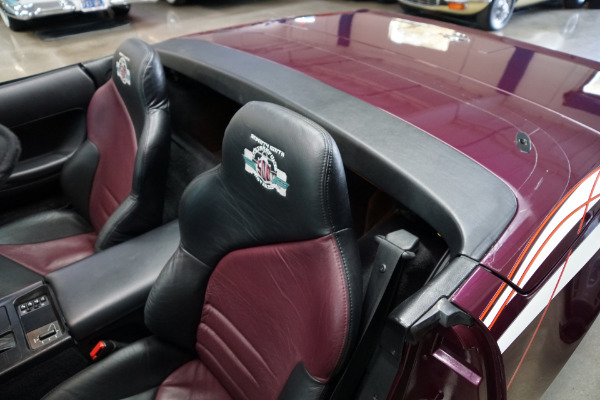 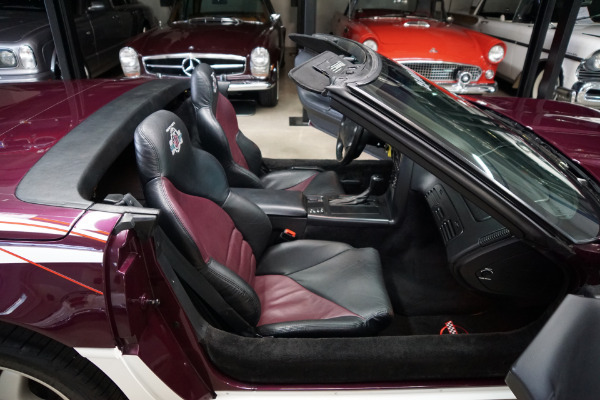 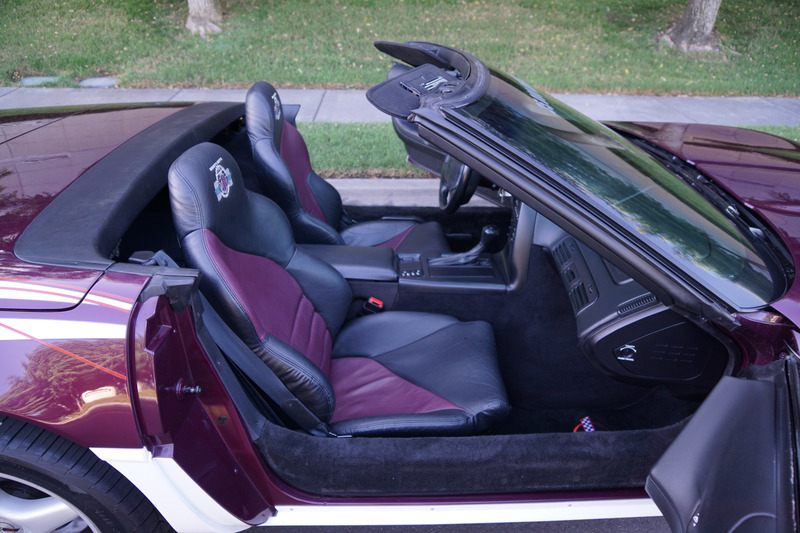 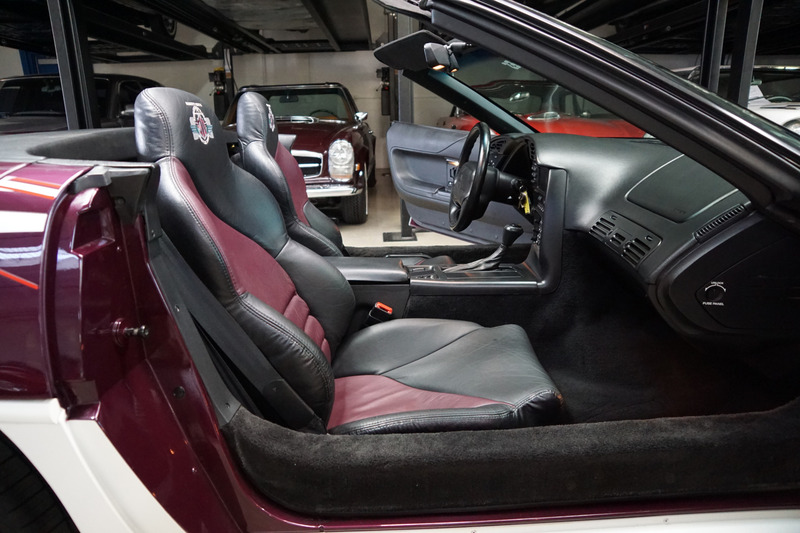 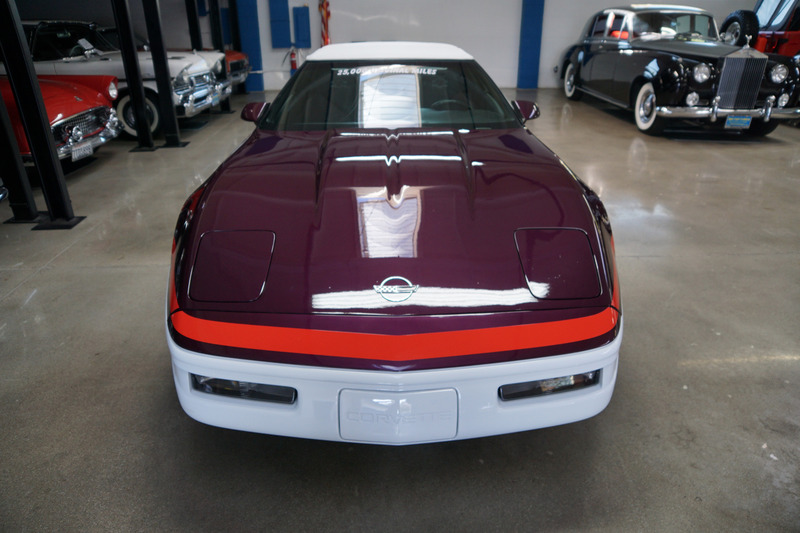 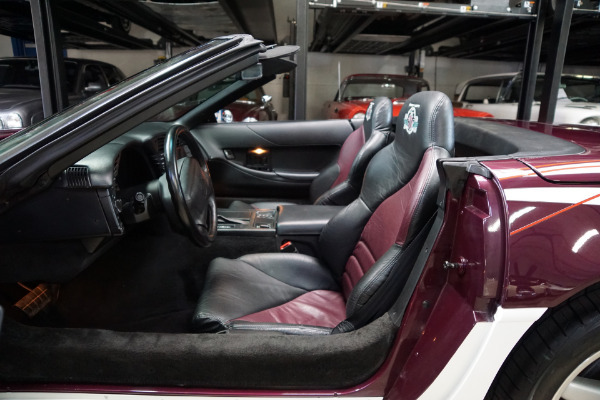 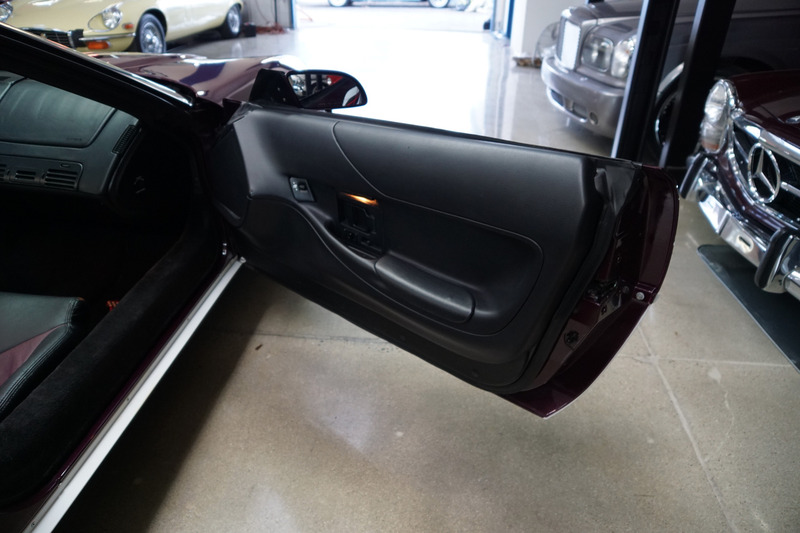 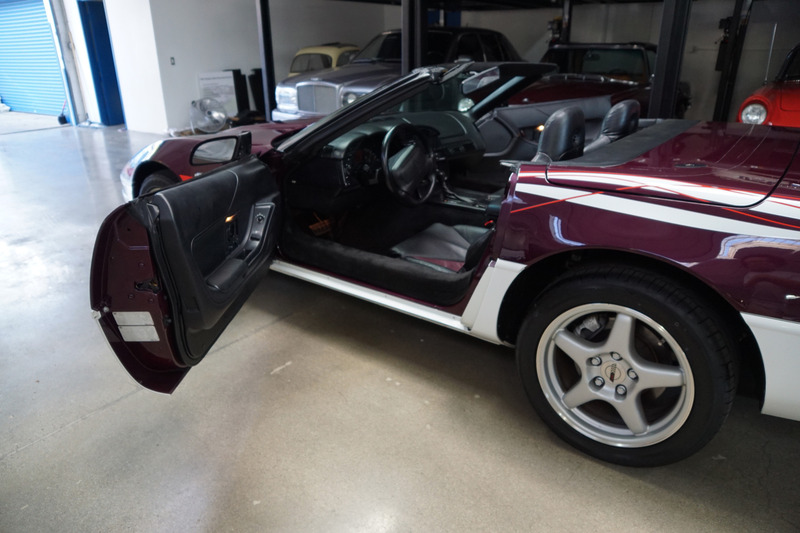 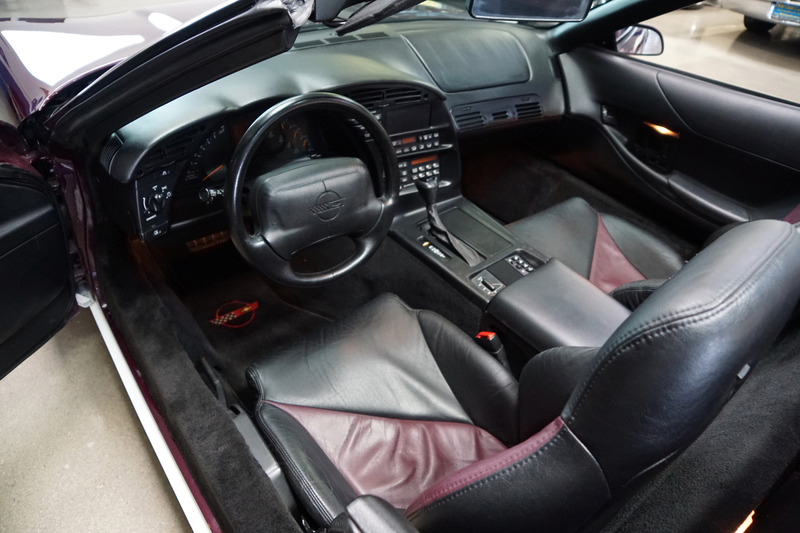 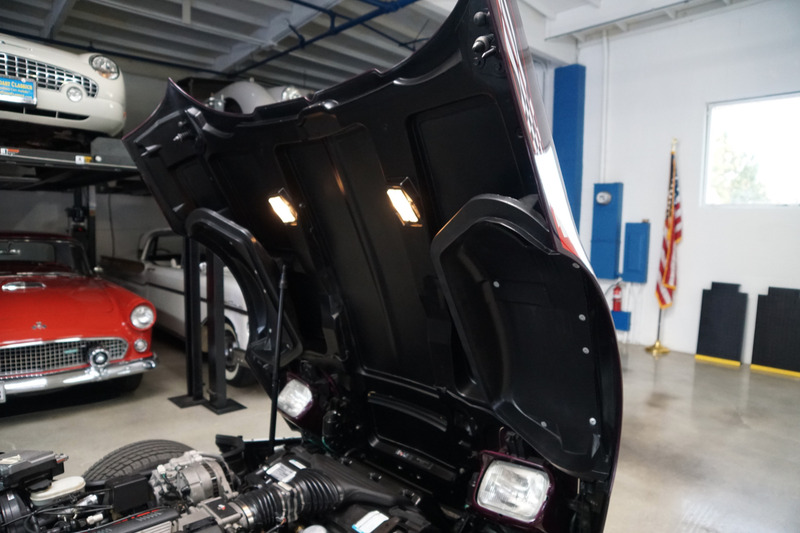 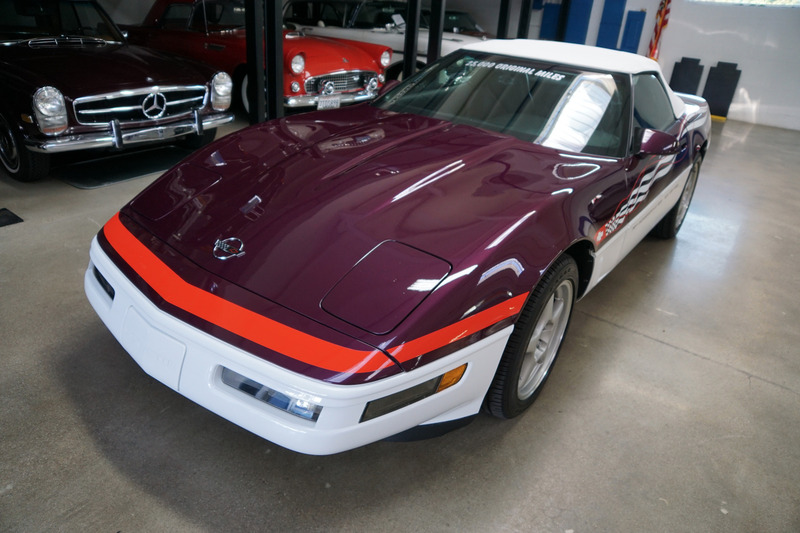 This particular example's original color paint and decals are in superb and highly striking condition and the leather interior and the trim is also in beautiful and all original condition throughout! 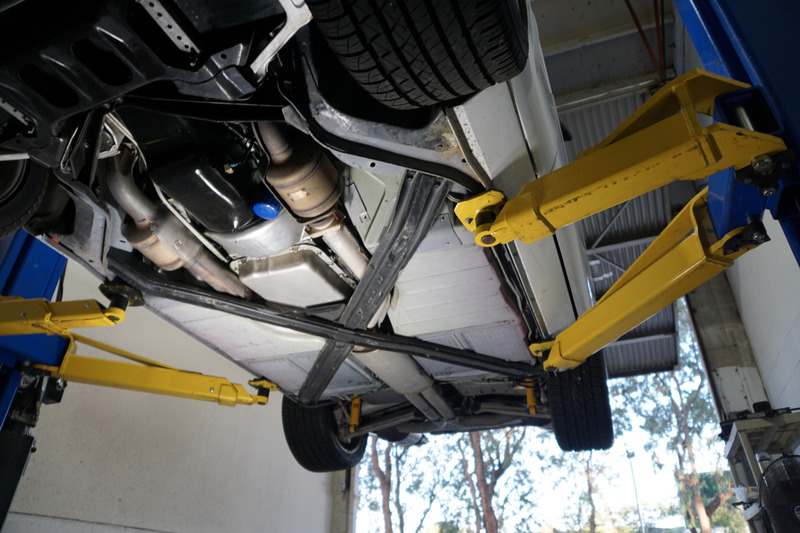 The car was obviously always garaged with no history of any accidents. 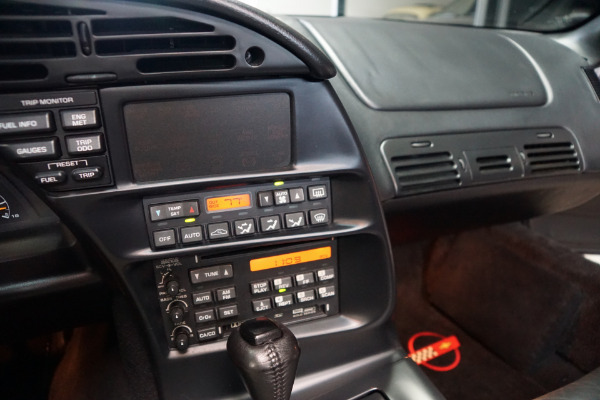 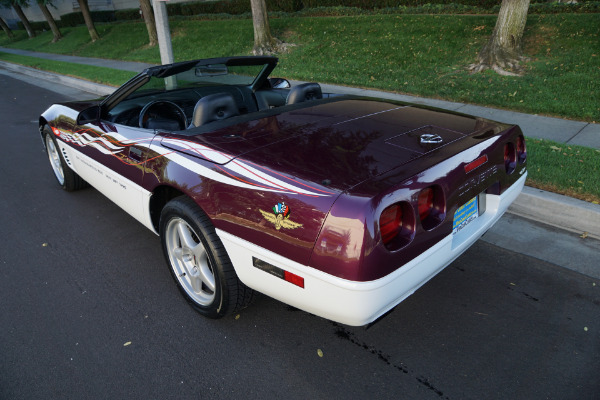 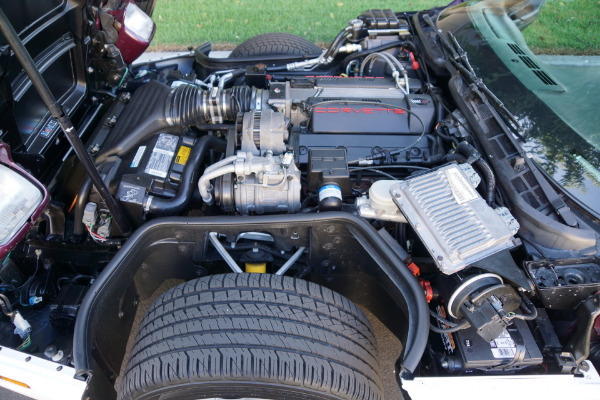 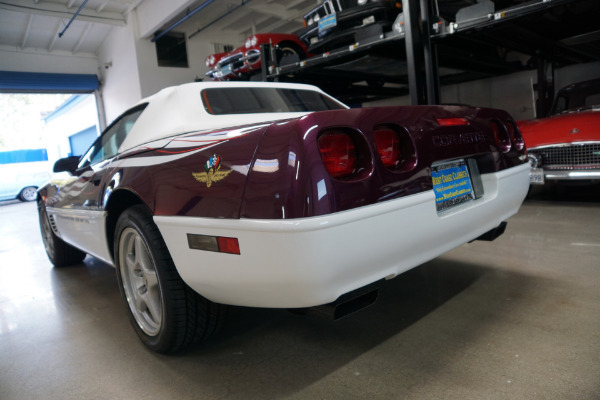 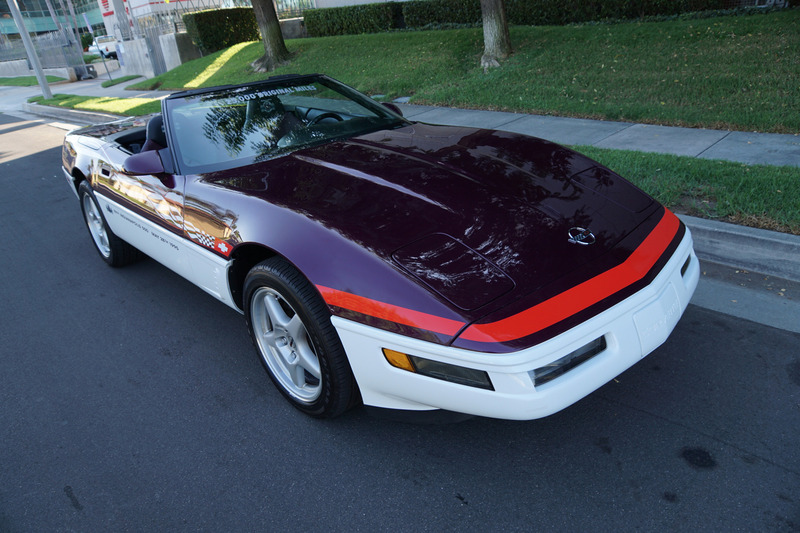 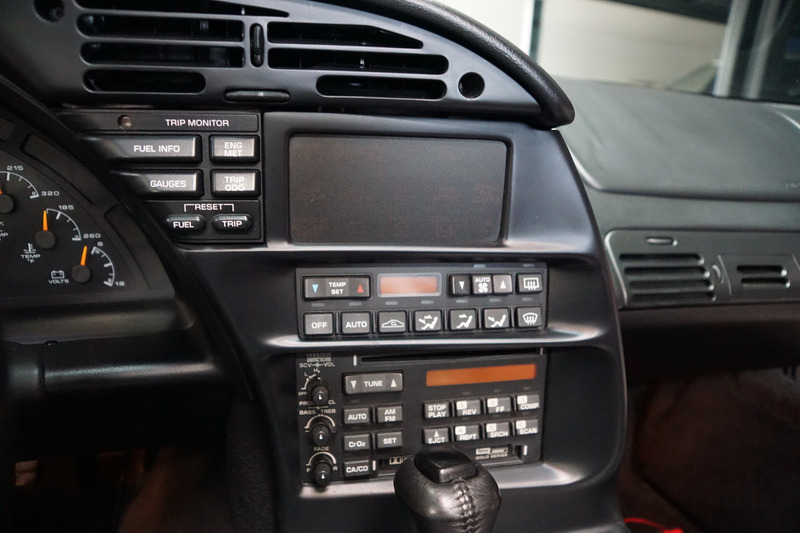 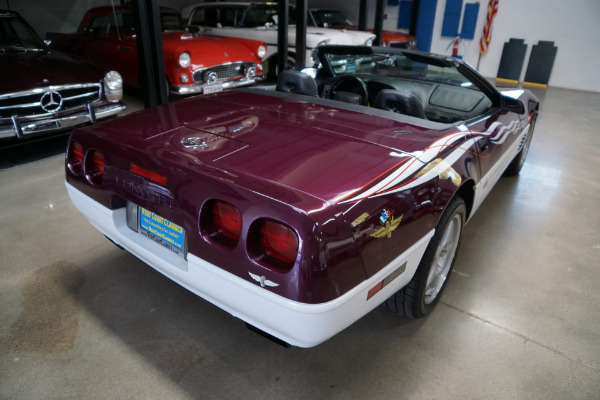 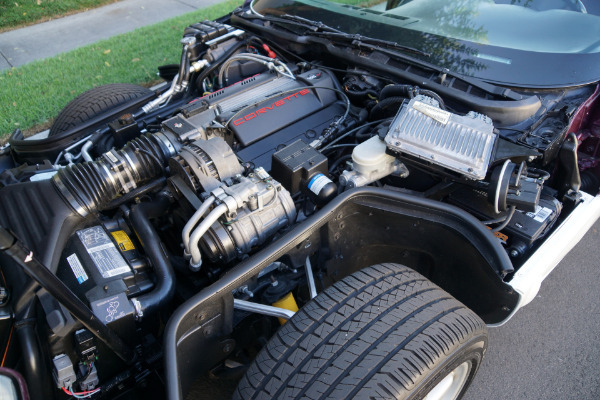 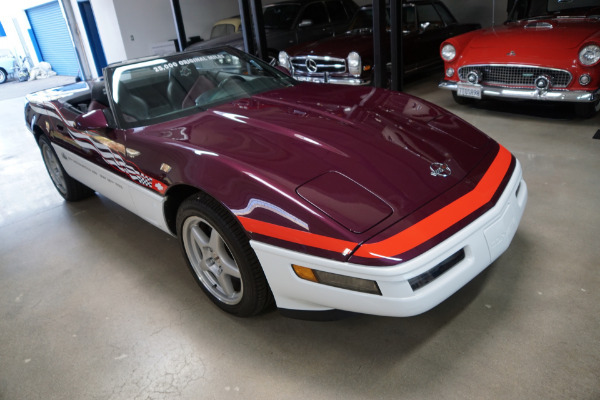 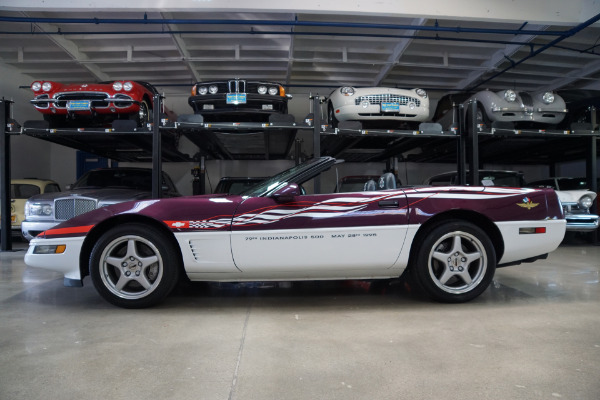 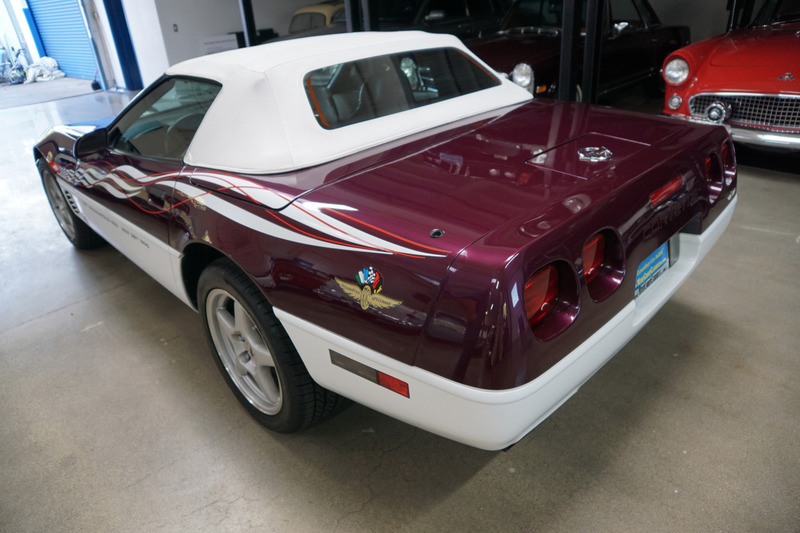 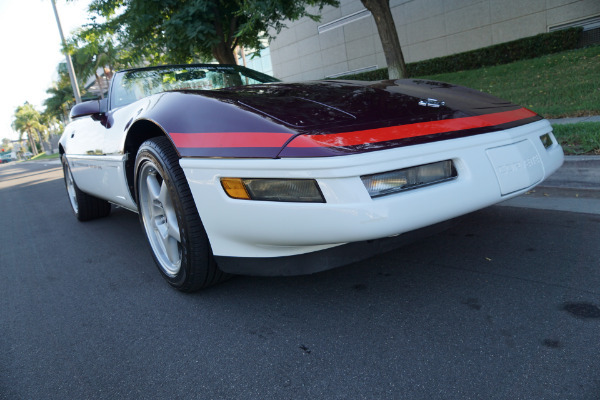 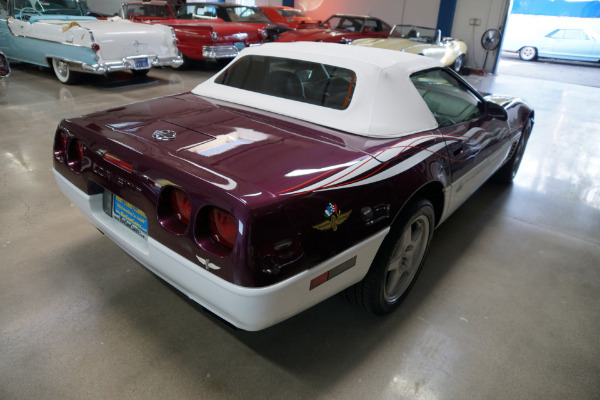 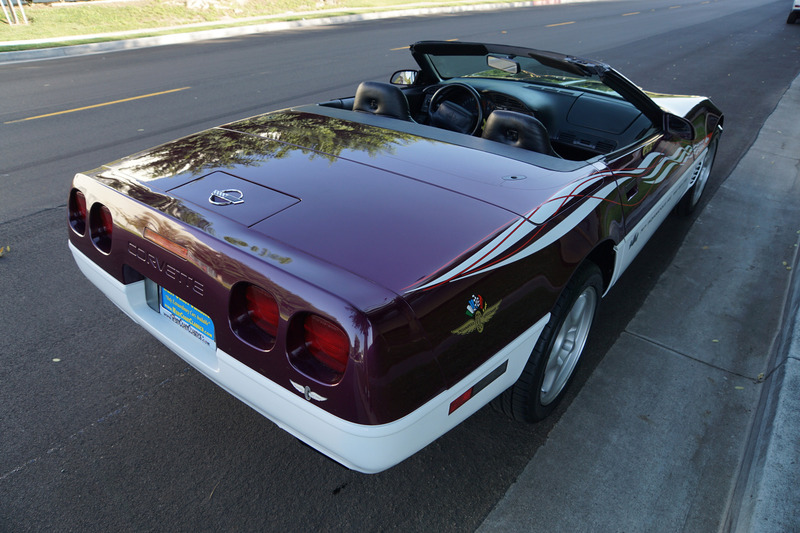 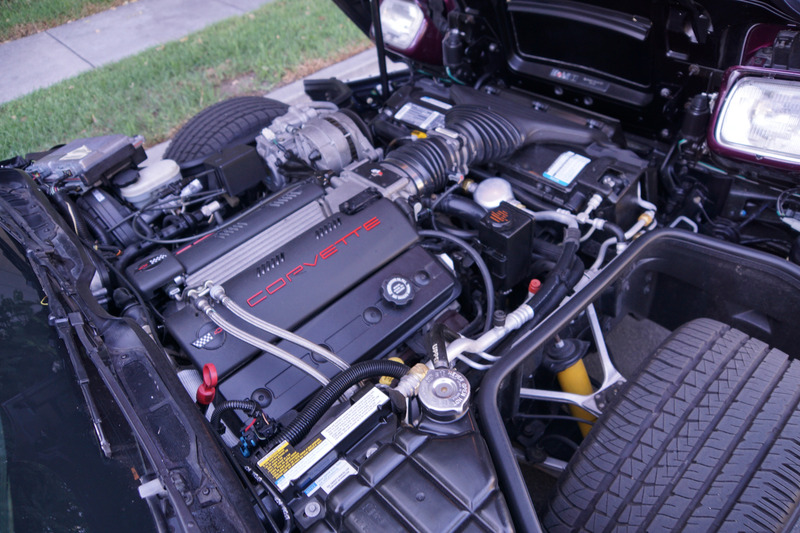 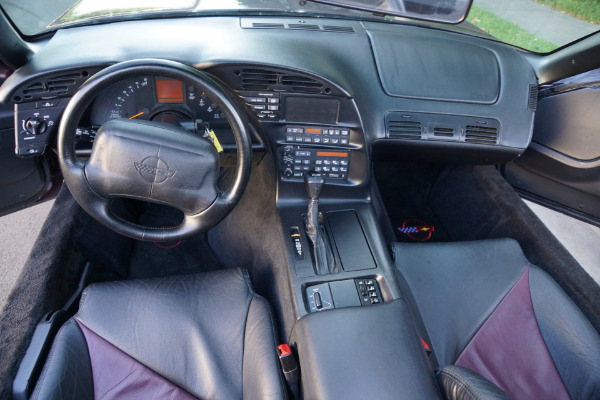 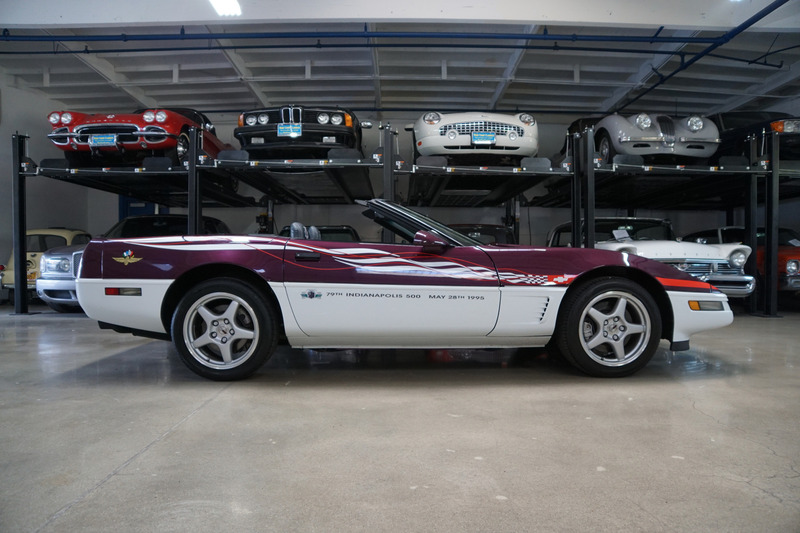 This is obviously one very rare and highly desirable example of this classic American sports car - an all stock and original 1995 Chevrolet Corvette 'Indy 500 Pace Car Limited Edition' in completely original and unmolested condition throughout with its original working 8 track cassette and radio and CD player and ice cold air conditioning! 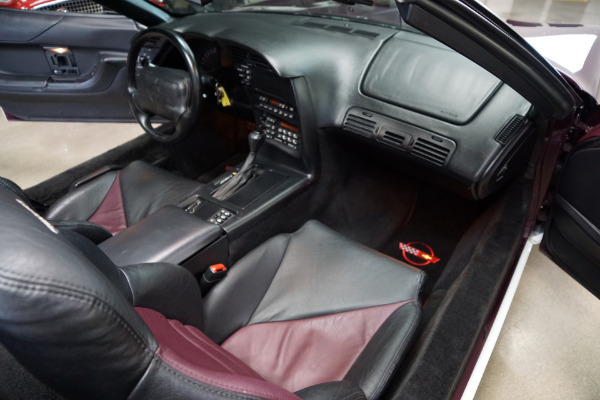 An obviously always garaged and unabused example! 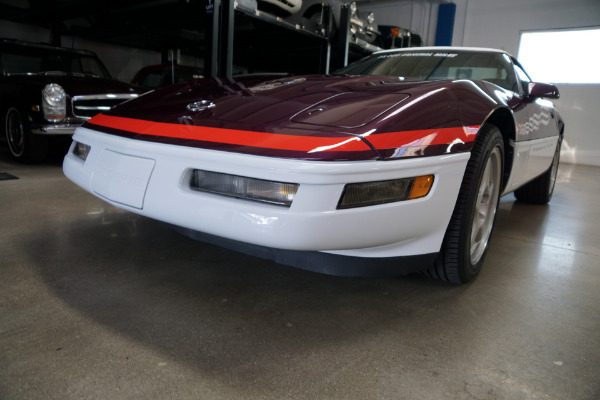 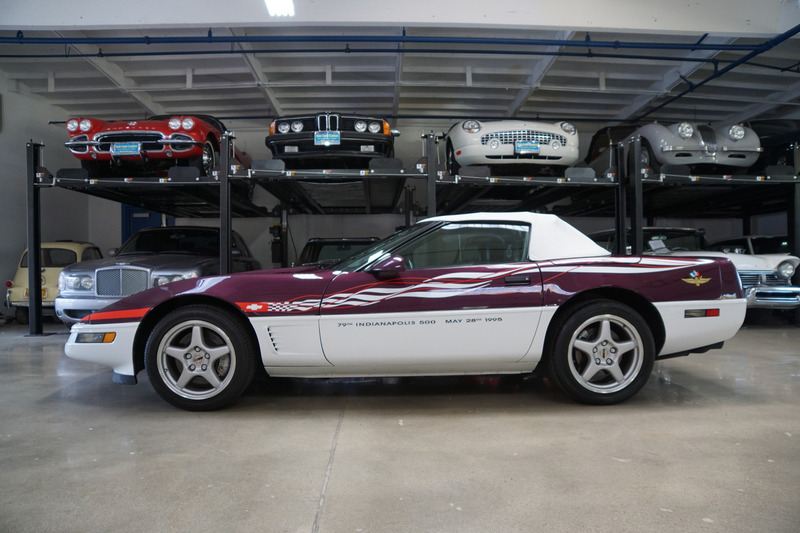 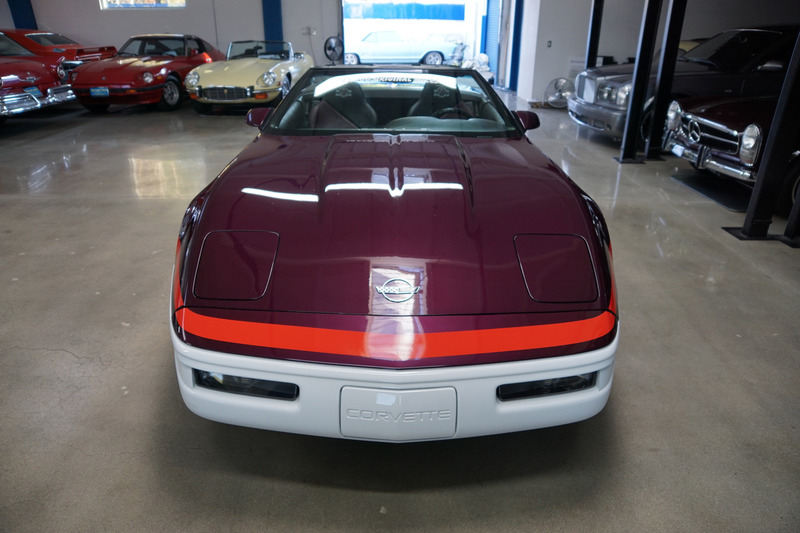 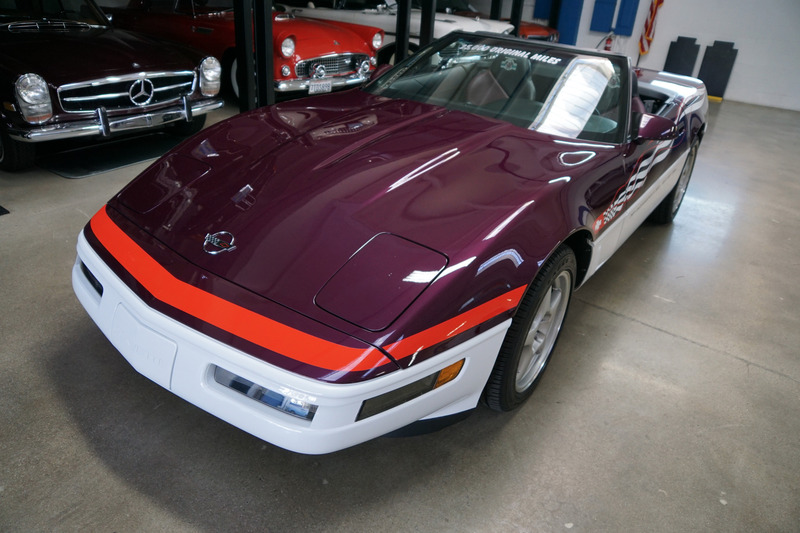 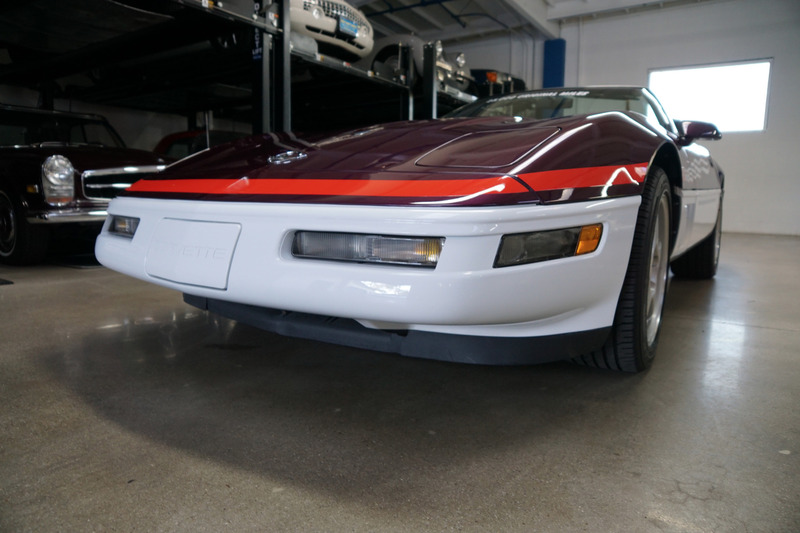 Without a doubt you will look long and hard to find a finer and very collectible 25K original miles example of a one owner since new 1995 'Indianapolis 500 Pace Car Replica Edition' - 1 of only 527 cars built - perfect for the Corvette enthusiast to add to his collection or simply any classic American muscle car collector!